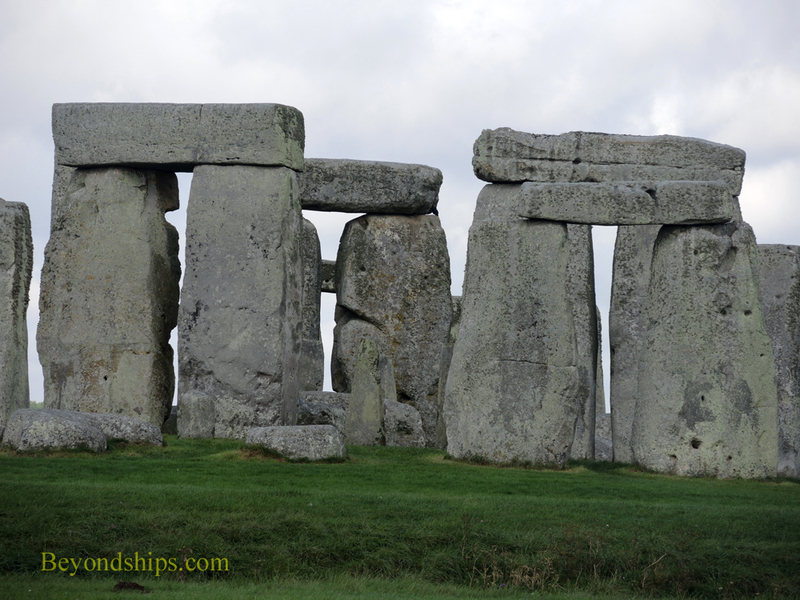 Stonehenge is one of the world's best known tourist destinations. It attracts millions of visitors a year even though what it is still remains something of a mystery. After literally centuries of study by scientists and historians, we can only speak about what it probably was and how it was probably created. This element of mystery is part of the attraction. However, there is also an element of timelessness as this monument has transcended so many centuries. Writing in 1136, Geoffrey of Monmouth explained that Stonehenge was a memorial to a great battle fought between the Saxons and the Britons. It was constructed using healing stones brought to Ireland from Africa by giants. Using magic, Merlin, King Arthur's wizard, transported them to their current location on Salisbury Plain. Although this straight forward explanation was widely accepted for many years, more recent historians have expressed some doubt about Geoffrey's theory. 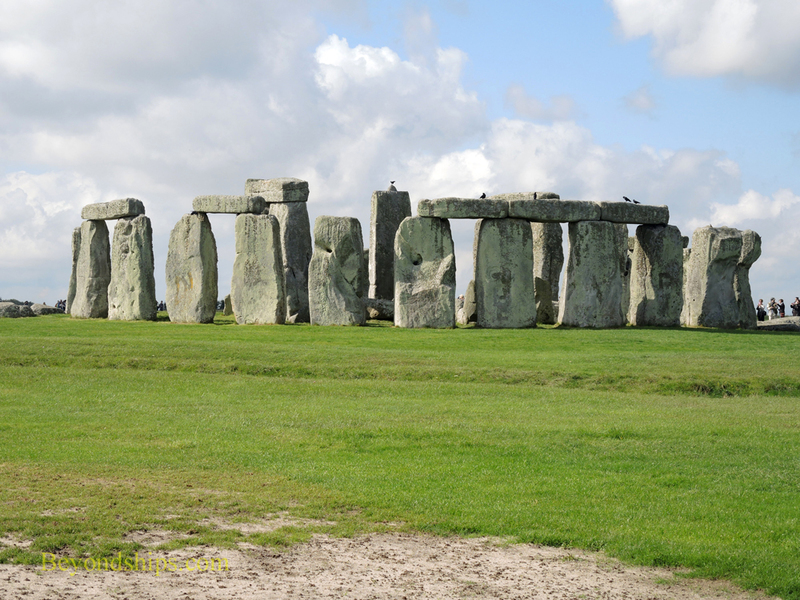 While today's skeptics do not believe in Merlin's involvement in the construction, they are unable to offer a conclusive alternative explanation as to who built Stonehenge and why. The evidence now suggests that in approximately 3000 BC, work was begun on an earthwork enclosure on this site. This was followed about 500 years later, by a stone monument, which was re-arranged at various times. It appears to have been in use for a thousand years and then abandoned. Because of the age of the monument, suggestions that Stonehenge was built by the Druids, the Romans, the Phoenicians, the Danes or the Saxons have to be rejected. Instead, it is believed that it was built by a per-historic agrarian people whose name seems to have disappeared into the mists of time. What is amazing about this theory is that it must have taken an immense amount of time and resources to construct this monument. Without the benefit of modern transportation, the large bluestones were brought from far off Wales. While the even more massive sarsen stones came from much closer to the monument site, it was still a Herculean task to bring them miles without trucks or trains. And once they arrived, there were no cranes to raise them up or to put one on top of another. Moreover, the builders were not a rich society with lots of leisure time. The evidence suggests that these people lived in huts and struggled to produce the food that sustained them with primitive tools and agricultural techniques. No wonder previous generations found the Merlin theory more satisfactory. 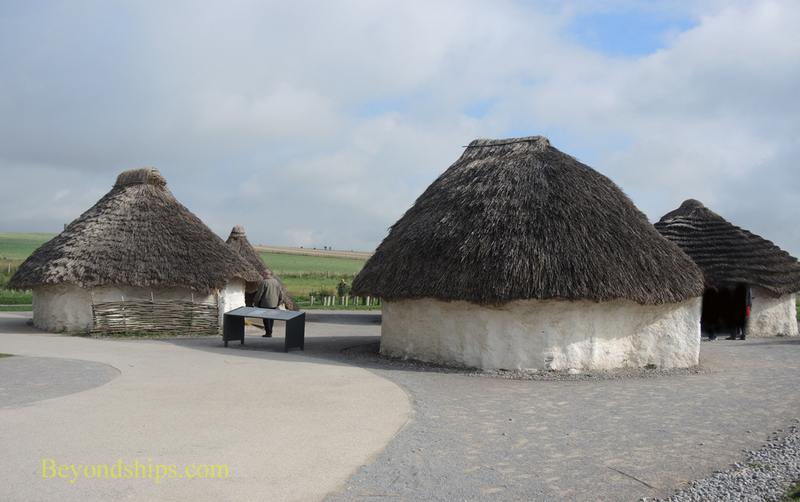 Above: An exhibit at the Visitor Centre showing the type of houses that the builders of Stonehenge probably inhabited. 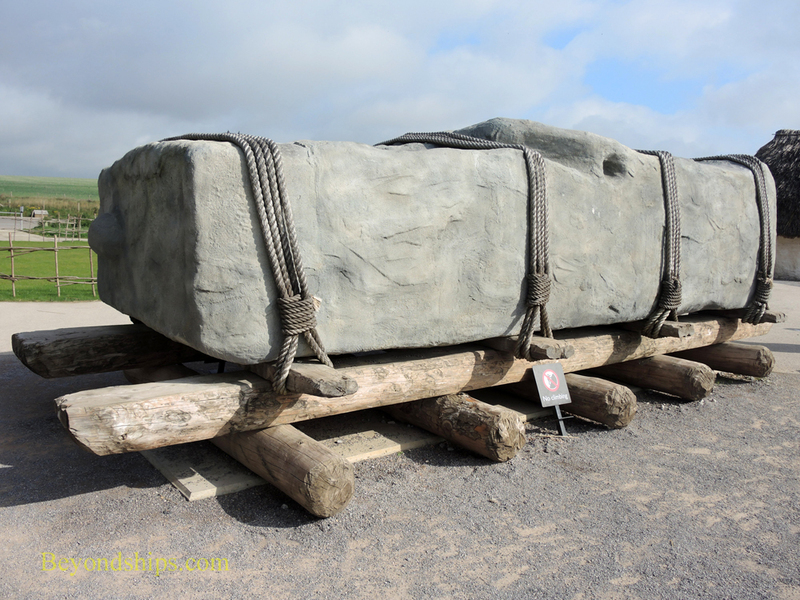 Below: A recreation showing how the giant stones might have been transported. ​Just a few years ago, it was thought that Stonehenge was built as a giant computer used in calculating the seasons. The stones are aligned with the summer and winter solstices. However, current thinking is that Stonehenge was built to be some kind of cathedral or spiritual temple. This explanation is bolstered by the fact that there are numerous burial mounds around the monument as well as other nearby religious sites. Furthermore, the site would not have served as a city or as a military fortress and so it is logical to conclude that the monument was built for religious purposes. Certainly, to have devoted such time, effort and resources to such a project, it must have been extremely important to its builders. It was not undertaken because someone thought it would be nice to have some stone circles in the middle of the field. However, the significance of the monument and the arrangement of the stones, ditches and holes that comprise it remains a matter of conjecture.